Es war ja nur noch eine Frage der Zeit, bis CIG den Patch 2.1 auf den Live-Server bring - heute ist es so weit! Mit dem neuen Patch wird die Freelancer und die Vanguard Warden flugbereit. Dazu gibt es jede Menge Bugfixes und einen neuen Missionstyp rund um den Covalex Shipping Hub. Bis nächste Woche stehen für die Aegis-Schiffe Limited Editions zur Verfügung, die gekauft werden können. Abseits der neuen Schiffe gibt es auch noch eine neue Waffe von Apocalypse Arms, die im Voyager Direct Store erstanden werden kann. Abschließend weisen die Entwickler noch darauf hin, dass es sich um eine Alpha handelt und jeder Bug im Issue Council gemeldet werden sollte. Den Link zu den vollständigen Patchnotes findet Ihr hier. We are excited to announce that Star Citizen Alpha 2.1.0 is now available on the Live server for all players via the Star Citizen launcher. Alpha 2.1 features an array of bug fixes and balance updates aimed at enhancing the Star Citizen experience. 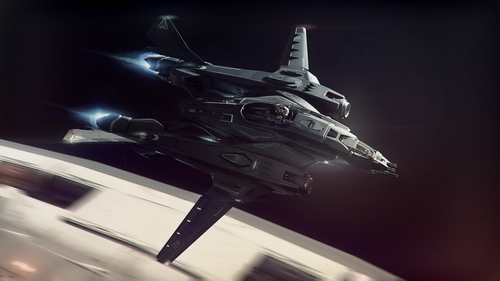 Thanks to expert testing from backers on the PTU, we’ve been able to significantly improve the experience and stability of Star Citizen from the December 2.0 release. We’d like to thank everyone in the community who contributed their time and effort to making this patch happen! 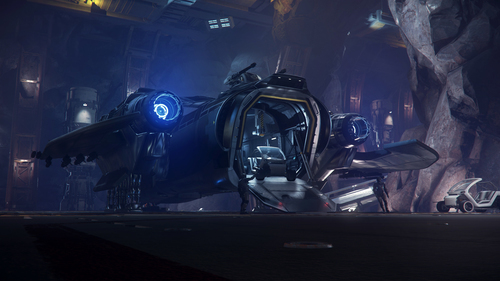 Missed out on your chance to pick up a Vanguard or a Sabre? We’re making both ships available for the next week for anyone interested in picking one up for Alpha 2.1! The Vanguard is now flight ready, and the Sabre will appear in the Hangar. For anyone interested in the full squadron, we’ve created a limited edition pack that includes both ships with a small discount. 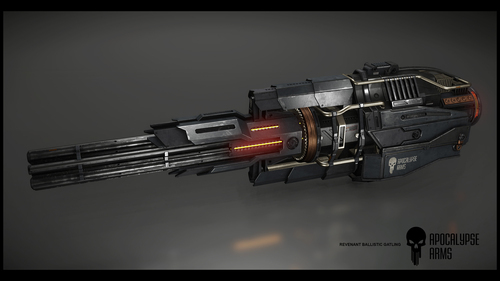 We’ve also added a new weapon to the game, the Apocalypse Arms REVENANT ballistic Gatling gun. This size 4 weapon can be mounted on the Vanguard, Constellation and (with an adaptive mount) the Cutlass and Hornet. You can learn more in the Voyager Direct storefront here. 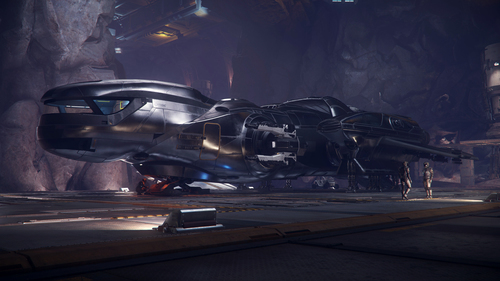 Remember, while there’s a lot to explore in Alpha 2.1 the game still just a portion of the Star Citizen experience! You can help the team improve future releases by reporting bugs and other issues using the Star Citizen Issue Council. The amazing feedback from STar Citizen backers is what has allowed us to interate on the PTU so quickly, and we’re eager for feedback about the Live release as well. 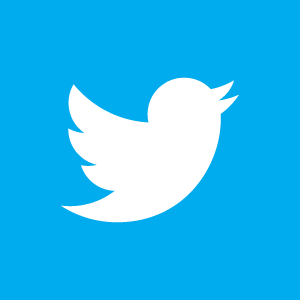 You can access the Issue Council here. Und da sind sie wieder die " Verkäufe ". Können es nicht mal einen Monat ohne diese aushalten. Mache Heu, solange die Sonne scheint! Die Marketing Abteilung wäre ja fahrlässig, wenn sie nicht ständig was verkaufen würden.